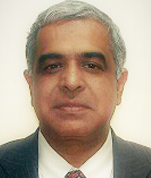 Ambassador J.K. Tripathi is a retired officer of Indian Foreign Service with 33 years of experience in Diplomacy. 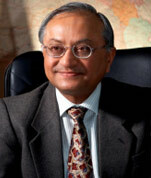 Starting his career in 1981, Ambassador Tripathi has vast experience of Africa, Europe, Middle East and Latin America. He had served in various capacities in Indian missions in Zambia, Maldives, Hungary, Sweden, Venezuela and Oman before taking up the important post of Consul General of India in Sao Paulo, Brazil, India’s only trade office in South America. In between his postings, Ambassador Tripathi had served as Regional Passport Officer, Lucknow, Deputy Secretary (Myanmar) in the Ministry of External Affairs and Director in the Indian Council for Cultural relations. 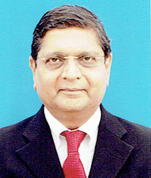 Ambassador Tripathi retired in 2014 after serving as Ambassador of India to Zimbabwe. He is a member of Association of Indian Diplomats, Research Information Systems and Ambassadors’ Club of PHD Chamber of Commerce. Ambassador Tripathi is also on the Board of Advisors of the Indo-Latin American Chamber of Commerce, M/S Dimitris Infrapro Pvt. Ltd, M/S Jaguar Overseas International and M/S Quest Global Technologies. He has keen interest in keeping abreast with the latest developments in International Affairs and Diplomacy. He frequently appears on various National TV Channels for panel discussions on these issues. He also contributes articles related to Foreign Policy and Diplomacy in various periodicals. Ambassador Tripathi is a keen Golfer and a poet. He is well versed in Hindi, English, Urdu and Spanish. Ambassador Anup K. Mudgal, a member of the Indian Foreign Service (IFS) retired in May, 2016 as India's High Commissioner to Mauritius. As part of his diplomatic carrier spanning thirty two years, he served thrice at the Head Quarters of the Ministry of External Affairs handling relations with India's neighborhood; ASEAN region; Russian Federation and some countries of Central and Eastern Europe as well issues relating to Human Resource Development. As part of his eight assignments abroad Amb. Mudgal served in different capacities at the Indian Missions in Mexico (including NAFTA matters), Peru, former Yugoslavia, Belgium (EU matters ), Germany, Austria ( work relating to: IAEA, UNIDO, UNODC, UNOOSA, UNCITRAL), and Mauritius (including IORA). Post retirement, Amb Mudgal has been engaged in several voluntary assignments, the important ones being: Member, FICCI Task Force on Blue Economy; Member, Steering Committee on Blue Economy under PMEAC; Member, Core Team of Kalinga International Foundation; Chair, Diapora Committee, ARSP; Joint Secretary, Association of Indian Diplomats; Guest lectures at: National Institute of Financial Management, Faridabad, Foreign Service Institute, New Delhi, University of Ajmer, Rajasthan; Institute of Management Studies, Ghaziabad; BULMIM, New Delhi. Born in May, 1956, Amb Mudgal did most of his education in Delhi. He holds Masters' and M.Phil degrees in plant sciences from University of Delhi. He speaks Hindi, English and Spanish. Previously, he also briefly worked at the Department of Science and Technology, New Delhi and as a member of the Indian Forest Service. A veteran officer with 35 year in diplomatic service of India, Sh Suresh K Goel has spent more than 10 years of his career in South East Asia in Singapore, Malaysia, Laos and China. He has worked actively on India-ASEAN partnership for 5 years and has personally been witness to evolution of ASEAN as the most important regional organisation in South East Asia and developments in Cambodia, Vietnam from 1981 onwards. He served in the Permanent Mission of India in New York from 1991-95 where he worked on peace and security related issues including concepts of Preventive Diplomacy, Preventive Deployment, Peace Keeping, Peace Making and Post Conflict Reconstruction as part of Peace Building exercise and Security Council reforms. He retired in 2013 as Secretary in the Ministry of External Affairs and Director General of the Indian Council of Cultural Relations, and is currently working on the India and China relationship in Indo China. Ambassador (Retd.) Skand Ranjan Tayal, is a graduate of Allahabad University and has a Post-Graduate Degree in Chemistry from the prestigious Indian Institute of Technology, Kanpur. After joining the Indian Foreign Service (1976), Ambassador Tayal served in Indian Missions in Sofia, Warsaw, Geneva and Moscow. He was India’s Consul General in Johannesburg (1996-98) and Houston (2002-05), and Ambassador of India to Uzbekistan (2005-08). 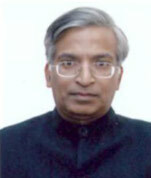 He was Ambassador of India to the Republic of Korea during 2008-11. Ambassador Tayal was Secretary of the Indian National Commission for UNESCO during 1991-95 and served briefly as the Director in charge of IITs in the Department of Education, Ministry of Human Resource Development. He was Joint Secretary (Consular, Passport and Visa) in the Ministry of External Affairs and the Chief Passport Officer of India during 1999-2002. He introduced far reaching reforms in the passport issue system including comprehensive computerization, machine printing of passports and Tatkal Scheme for fast track issue of passports. Amb.Tayal was on the Board of Hindustan Shipyard Limited (Vizag) and MMTC Limited as an independent director during 2013-16 and is Vice Chairperson of the India-Republic of Korea Friendship Society. He was also Chairman of the Governing Board of Dyal Singh College in New Delhi during 2013-16. He was a Visiting professor in the Delhi University during 2013-16. Ambassador Tayal has authored a book ‘India and Republic of Korea: Engaged Democracies’ which was released in December 2013 by the Hon’ble External Affairs Minister of India. Ambassador Anil Wadhwa was born on 26 May, 1957 and was a member of the Indian Foreign Service from 1 July, 1979 to 31 May, 2017. In his previous diplomatic assignments, he served as Third Secretary in the Commission of India, Hong Kong (Sep.1981 to Sep.1983); Second Secretary/ First Secretary in Embassy of India, Beijing (Nov.1983 to Feb.1987); Under Secretary/Deputy Secretary in Ministry of External Affairs, New Delhi (Feb.1987-May 1989); UN Disarmament Fellow in Geneva (July-Nov.1989); First Secretary (Disarmament) at the Permanent Mission of India in Geneva (Dec.1989-Dec.1992); Counsellor in Embassy of India, Beijing (Jan.1993 – Jul.1993); Director/Joint Secretary on deputation to the Provisional Technical Secretariat and later the Technical Secretariat for the Organization for the Prohibition of Chemical Weapons (OPCW) in The Hague (July 1993-July 2000; Chief Adviser, Ministry of External Affairs (Earthquake Relief) in Gujarat State, (Dec.2000 to Jan.2001), Joint Secretary, Central and Eastern Europe, Ministry of External Affairs, New Delhi (Mar.2001 to Feb.2004). Ambassador Wadhwa served as the Indian Ambassador to Poland and Lithuania (March 2004 to August 2007), to the Sultanate of Oman (August 2007 to September 2011), to the Kingdom of Thailand (Nov 2011 to Jan 2014) and to the Republic of Italy and San Marino ( March 2016 to May 2017 ). During this tenure, Ambassador Wadhwa has also served as a Permanent Representative of India to the Rome-based UN Agencies – FAO, IFAD and WFP. He was appointed President of the WFP Board on 22nd February, 2017. Ambassador Wadhwa was Secretary (East) in the Ministry of External Affairs in New Delhi from 2014 - 2016 looking after South-East Asia, Australasia and Pacific, Gulf and West Asian regions, among other responsibilities. He was also the leader of the Senior officials to all meetings of ASEAN, ASEM, ACD, Arab League, Mekong-Ganga Cooperation, ARF and East Asia Summit. During this period he coordinated the evacuation of Indian nationals from Iraq, Libya, and Yemen. From 1989-2000, Ambassador Wadhwa attended meetings of the First Committee in UNDC in New York first as a Delegate of India and later as Representative of the OPCW where he worked as the Head of the Media and Public Affairs Branch and subsequently the Government Relations and Political Affairs Branch. As head of The Media and Public Affairs Branch of the OPCW, Ambassador Wadhwa interacted with the international and local media and contributed articles on chemical weapons disarmament for a number of reputed publications and the print media. During this period, he also organized a number of events to forge links between the OPCW and other organizations and to raise the profile of the organization. Ambassador Wadhwa represented the OPCW in inter-agency meetings with the IAEA in Vienna, with the OECD in Geneva and NATO and WEU and World Customs Organization in Brussels. He has attended disarmament related meetings of the Biological Weapons Convention, the Nuclear Non-Proliferation Treaty and ENMOD Convention and was involved in negotiations on the Chemical Weapons Convention as well as on Climate Change. Besides South East Asia, he has extensive experience in the Middle East, Israel, Palestine, Syria, Iraq , Libya, Maghreb, the North Korean and ISIS issues. He has also been India’s chief delegate to the meetings of the small Island States and has organised two major conferences related to South Pacific States (FIPIC) in India and in Fiji. 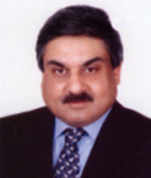 Ambassador Wadhwa has special interest, and has specialized in commercial work throught his career. He drew up the Most Favoured Nation (MFN) Agreement between India & China in 1954. This was the first ever agreement signed between the two countries since 1954. He headed the commercial wing of the Indian embassy in Beijing from 1983-87 and again from 1993 onwards. During his stints in Poland, Oman, Thailand and Italy, Ambassador Wadhwa was successful in attracting cutting edge technologies, investments and oversaw a substantial jump in trade between India and these countries by personally speaking at business related events. He holds a Masters Degree in History with specialization in Chinese history and Medieval Indian history and architecture. He is fluent in English, Hindi and Chinese and knows French. Ambassador Wadhwa has contributed a number of articles, mainly in the field of disarmament and international security. He has also spoken at a number of international conferences. He is married to Ambassador Deepa Gopalan Wadhwa and the couple have two sons. Ambassador S. Swaminathan A career diplomat, his career has concentrated primarily on two areas – relations with India’s neighbours and economic diplomacy respectively. 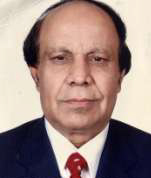 He served in Sri Lanka and Pakistan and looked after Bangladesh, Sri Lanka and Maldives as Under Secretary in the Ministry of Commerce and later on Iran and Afghanistan as Director in the Ministry of External Affairs. After a stint in the Ministry of Commerce in 1984-85, he served in Brussels in the Indian Mission to the EU and as Minister (Eco & Com) in Berlin, Germany. He had earlier served in the ASEAN as Counsellor in Malaysia and Vietnam respectively. He was an Election Observer for the United Nations in South Africa during their first democratic elections in April 1994. He continued concentrating on economic diplomacy in Brazil where he served since August 2002, first as DCM in Brasilia and then as Consul General in Sao Paulo, South America’s financial capital. Prior to Sao Paulo, he had been appointed India’s Ambassador to Mongolia. He then moved to Iceland as India’s first resident Ambassador. He retired from the Indian Foreign Service in 2011 (DOB September 7, 1951). His other interests include classical music, reading and travelling. He is married and has two children, a daughter and a son. 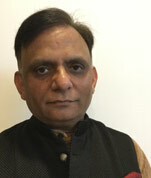 Satish Sharma Secretary-General of the India Republic of Korea Friendship Society (IRKFS) and Advisor, KOCHAM and is based in New Delhi. He has been holding this post since 2011. He is also a Senior Advisor to M/s Hyosung India, a Korean conglomerate with business interests in India. He also lends his expertise as Advisor (International) at M/s Flexituff Ventures International Limited and was Director at M/s Conwood Pvt Ltd, Mumbai. He has extensive experience of over 34 years working with the industry and the Government at senior levels. 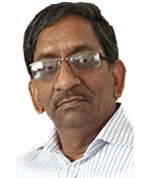 He worked as Sr Vice President at M/s Reliance Industries Limited and with M/s Sun Overseas. He is an Analyst (Metals) by profession and has a keen interest in music and is deeply involved in social work related to healthcare and providing free medical facility especially in the hilly areas of the countries where availability of good medical facility is always a problem. He has been arranging medical camps for the Kedarnath Pilgrims for the past 10-12 years. Recently, he arranged a Kidney dialysis machine for a hospital in Almora. He also generously arranges medicines for several old age homes. He is married to Mrs. Krishna and lives in Delhi. 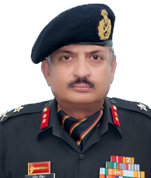 Maj Gen Praveen Dixit, SM, VSM is a product of the Indian Military Academy. He holds a Master’s Degree in ‘Defence Studies’ from the University of Madras. He is also an alumina of the Defence Services Staff College in Wellington. In recognition of his outstanding services as a Military Observer with the UNAMIR in Rwanda, Maj Gen Dixit was awarded United Nations’ Medal for Assistance Mission. He served almost for 4 years as Defence Adviser in the High Commission of India to Nigeria. He has rich experience of leading Armoured Regiments in operational areas in India. He retired from the Indian Army as the Chief Instructor & Commandant of Arms Corps Centre and School. Maj Gen Dixit’s core competencies include ‘Strategic Planning” and ‘Relationship Management’. has an enriching experience of almost 32 years as a Corporate Professional and Entrepreneur. She commenced her career from Hospitality Sector. Moving onto working with Diplomatic Missions, Foreign/Indian Schools, (South Korean Embassy/Canadian High Commission/ American School) and Risk Management / Insurance Industry (Royal & Sun Alliance and G4S). As a modern female entrepreneur, utilizing her MBA in Marketing, Bandana has operated and managed an apparel business, also provided consultation in Corporate Communication and Events. Bringing her career up-to date Bandana is now working with G4S Secure Solutions- a Global Integrated Security Solutions Provider. Attached with the group for a decade now presently holding the role as Vice President- Diplomatic Missions & UN. Earlier as the Director - Marketing Services at G4S she has handled Branding, Marketing, Turnkey Events/ Launch, CSR, Communication, Website Designing Uniform & Marketing Collateral’s. 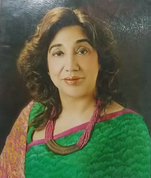 Not enough on her platter with this senior position, she combines her role with that of advisor to NRI Institute (NRI Institute started as a Non Profit NGO in 1989, is diligently working to connect Indian Diaspora) & JMS Foundation (that is dedicated to the welfare of marginalized girl child). Lord Field Marshall Sir John John Chappel. Global Nature Festival, at Constitution Club, Delhi. She was crowned - Mrs India Classic Queen “ Woman of Substance “ in February 2015 at a grand pageant in ITC Maurya by Mahima Chaudhary( the famous Bollywood actress , and Mrs Ritika former Mrs Asia Pacific ). Was accredited from G4S as the Brand Ambassador for the Commonwealth Games to the British Team of 900 contingent in 2010. In her business life she blends dynamism with a certain style and is a committed believer in the need to further develop and empower the woman in Urban and Rural Sector. Assisted and supported Diplomats for various Industry events and Award Functions. She combines her exacting role of professional executive with that of being a (single) parent, to a pretty 24 year daughter. A firm believer in social service, good deeds, sincerity and hard work. During the little time left she indulges in her passion; designing clothes, likes to travel, loves gardening, Floral arrangements, interior designing, music, reading and cooking. Chartered Accountant and Law Graduate, with an experience of over 30 years, in the field of Corporate Management, Finance, Statutory Compliances, Mergers & Acquisition, Audit and Management Consultancy. Worked in different sectors of industry like Reality & Infrastructure, Hospital & Health Care, Information Technology, Insurance and Risk Management. Hotel & Hospitality, Telecom Services. Engaged as Finance Specialist at Project Management & Monitoring Consultants (PMMC), Minst. of Urban Development, Govt. of India and the Asian Dev. Bank (ADB) Grants for development of North-East Region of India under the NERUDP Project, in 2015-16. Corporate Compliance of statutory policies and vigilance. Internal Audit and Operational/Business Processes Audit. Coordinating with Regulatory Authorities of Ministries of Central/State Govts. Member, Bar Council of Delhi, India. Former President of Institute of Internal Auditors IIA (Delhi) Region and Past Council Member IIA (India) affiliated to The Institute of Internal Auditors, Florida USA. 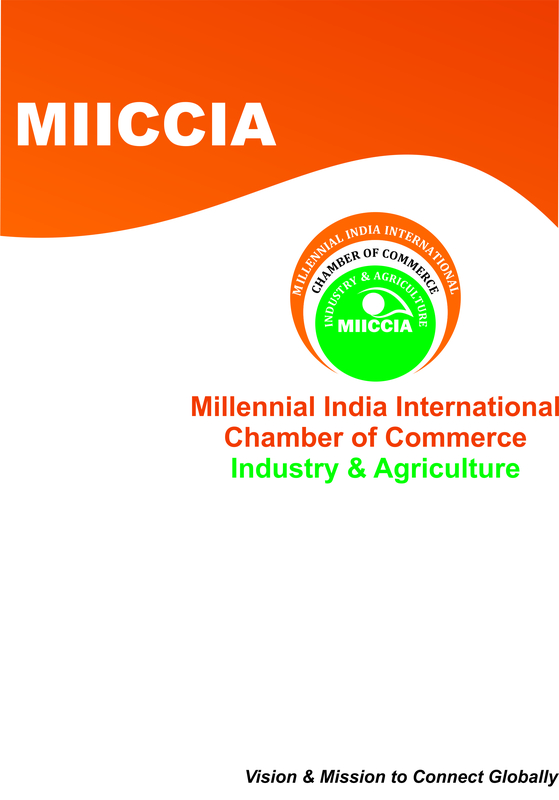 Past Governing Council Member of Indo-American Chamber of Commerce, Delhi Region. Founder Member “The Civil Society” New Delhi, India. Present Advisor and Past Gen Secretary of Odisha Forum (Delhi). ‘Commercial Viability of Start-up Ventures in India’ – at North-East Conclave 2017. ‘Corp. Governance-Voluntary Guidelines 2015 – Industry Perspective’ at SMEs Meet, Delhi. ‘Audit Committee Comforts with Top Ten Best Practices’- ASSOCHEM Conference on Corporate Fraud Controls at Delhi - in July 2012. Internal Audit Planning–for Air India Internal Audit Staff Training Workshop at Hyderabad. SEZ Planning & Development – ASSOCHEM Conference on SEZ at Delhi. CSA (Control Self Assessment) a tool for Self Assessment and appraisal of Business Activities– Marketing Meet of Iffci-Tokio Gen. Insurance. Responsibilities: - Corporate Finance & Treasury, Preparation of Operational and Financial Statements Department wise for Operational and Cost Controls. Merger & Acquisitions, Budgets process initiated with input data from each Department, their tabulation to get approval of Respect Department Head. Consolidation of Department Budgets with the objective of setting operational and Cost Control Targets. Periodical assimilation of Actual Operational and Financial Data, Department-wise, within the time frame as set by the Management. Periodical comparison of Budgeted and Actual Data. Preparation of Variance Statement and Analysis Report. Responsibilities:- Formalize ‘Business Processes’ for Quality Management. Identification of Functional Departments and Finance & Accounts for preparation of Activity Procedures. Preparation of activity procedures, with identification of Documents, Time required, Activity Process and ownership of Activity. Getting appraised the Activity Processes by respective Functional Departments. Implementation of the Activity Processes Department wise. Operations Audit Department-wise of Activity Processes. Position Held :- advisor & compliance Officer. Organization :-Institute of Internal Auditors, affiliated to Florida USA. Best practices and Internal Audit Benchmarks. Conduct of Audit Committees and Reporting. Tone at the Top- Responsibilities of Internal Auditors. Report Writing by Internal Auditors. Course attended: - Systems Analysis and Data Processing – 1984 conducted by Inst. of Chartered Accountants, New Delhi. Well versed with computers to establish Operational ERP and Financial systems, proficient in MS Office and Excel. Preparation of periodical MIS Reports, Project Financial Feasibility Reports in Excel. Business Model Presentations in MS PowerPoint. 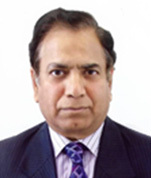 Mr. Akur Raman Raghunandan has over 35 years of experience in mid/senior management positions in medium/large corporations in India, Singapore and Dubai. He is widely travelled and has deep understanding of conduct of businesses in number of countries. He began his career in what was then the largest shipping company in private sector and separated as Deputy General Manager prior to venturing out to set up his consulting endeavour. He was till recently the CEO and Director of a US$ 1Bn trading entity in Singapore. He built excellent relationships over the years with MNCs more specifically with regard to trade, finance, shipping and logistics. He brings along versatile and multiple strengths in knowledge and relationships in international business. Mr. Raghunandan is a founding member and Joint secretary of Institute of Directors- Chennai Chapter, and still is an active member. Pune and Post Graduate Diploma in Management from one of the India’s Premier Business School – Xavier Institute of Management, Bhubaneswar (XIM- B). 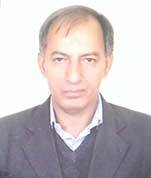 Mr. Thakur joined the services of the Government of India as GCS (Group Á’) officer in February,1999. He worked in various capacities the Ministry of Agriculture & Farmers Welfare, Department of Agriculture, Cooperation and Farmers’ welfare (DAC&FW) for about 20 years. Prior to joining the services of the Government of India, he worked with a Public Sector Bank in the officer cadre from October, 1981 to January, 1999 where he gained rich experience in the field of rural development and credit. Mr. Thakur has wide ranging experience in the field of rural credit, farm risk management, mitigation of farm distress and cooperatives. Along with other assignments in the DAC&FW, he was handling the work of formulation of agricultural credit policies and programmes, revamping of rural cooperative credit structure, policies and programmes for mitigating farm risk and farmer’s distress, administration of Multi-state Cooperative Societies Act and Rules, registration and management of Multi-state Cooperative Societies and Cooperative Banks. He has also been involved with liaison with the concerned national and international agencies and providing advisory services to the agencies working in the field of rural credit and cooperatives. He also writes on the topics related to rural credit, farmer’s welfare and cooperatives. Mr. Thakur served as Deputy Managing Director of National Cooperative Development Corporation (NCDC), the apex development financial institution for the cooperatives in India for the period January, 2015 to January, 2019. He also held the position of Director-General of Laxmanrao Inamdar National Academy for Cooperative Research and Development (LINAC) which is an institution promoted by NCDC for training and capacity building for cooperative sector. During his tenure at NCDC, the business and profitability of the organisation witnessed manifold increase. The business of NCDC increased from around Rs. 4000 crore in the year 2014-15 to more than Rs.30,000 crore in the year 2018-19 year and its reserves almost doubled during this period.